These vintage metal drawers are a lovely addition to our collection of industrial and vintage furniture. The item dates from the 1950s and features six drawers — two drawers at the top, with four larger drawers below. 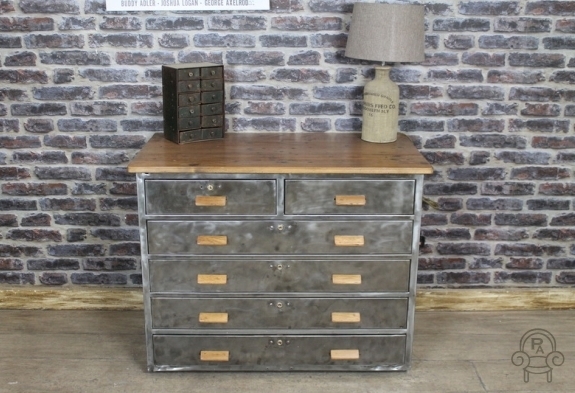 This industrial chest of drawers would be a real statement piece for any hallway, bedroom, living room or urban warehouse interior. These vintage metal drawers have wooden handles and a reclaimed pine top, adding to the character of the item.